Tenchi had been a resident around Misaki Shrine for many years, but the day will come when he'll inherit it. It's decided that Tenchi should receive training at a temple in Tokyo to better prepare him. The girls at the Misaki residence didn't take the news of Tenchi leaving lightly, But luckily mad scientist Washu makes a portal so they can to visit as often as they like. 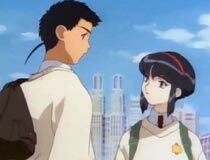 Then Tenchi meets an average girl named Sakuya and the two start showing an interest in each other... Could it be that Tenchi's heart may have finally settled on a girl? Meanwhile a malevolent being named Yugi is up to something in the background. 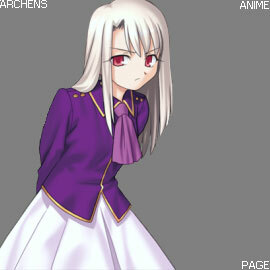 Tenchi is often stuck in the middle of the trouble she's causing, but who is she, and what is she up to? While it seemed like anything Tenchi was blessed to be a hit, Tenchi in Tokyo (also known as Shin Tenchi Muyo) is where it all started to go wrong. 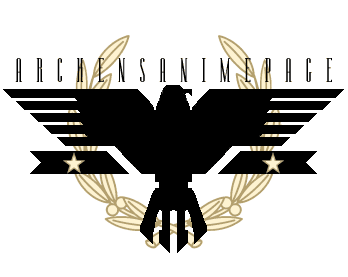 A clunker in a franchise isn't the end of the world, but I don't think any of us could comprehend how Tenchi would go into a tailspin and just how bad it would eventually get. 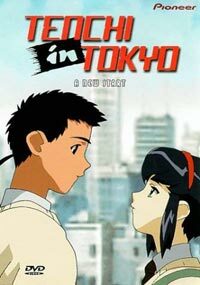 Tenchi in Tokyo isn't all that bad, but it certainly left a lot to be desired considering its heritage. In fact it does a lot of things which would be a good direction on their own, but shouldn't have done them all at once and did a poor job with implementation. First problem is continuity. This Tenchi incarnation doesn't follow the OVA or the first TV series. Tenchi in Tokyo is in a bad position as fans are sure to not like something about the changes, while this series requires viewing a previous series to be familiar with the characters. The second problem is Sakyua. Tenchi Muyo has a wide array of characters that fans had grown to love for different reasons. 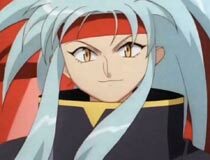 Anyone who enjoyed the series had taken a liking to Ayeka or Ryoko (or both) in their struggle to win Tenchi's heart. Sakyua is introduced as yet another love interest in this sea of female prospects. Fans of the franchise dislike her for a lot of reasons, but I don't think Sakuya is a bad character. In fact you might say she offers the refreshing perspective that was exactly what the series needed to keep from getting stale. With so many over the top characters, Sakyua offers a grounded contrast in the series. For example, Aeka and Ryoko can shoot lasers at each other all day long, but this approach can't be used on Sakyua and requires a completely different strategy in competing for Tenchi. The anime starts to touch on this but it doesn't get too far. The bigger issue is that Sakuya is the new girl packed into a bus that's already crowded, and she's one too many. Which is too bad because under other circumstances she'd be a welcome addition. The plot starts with a monster of the week setup, and transitions to a bigger plot buildup which was alright. I think the biggest weakness with the big plot was that I didn't find Yugi to be a very engaging villain. That aside the story was fair, and there were most certainly some good laughs here and there. Romance felt a bit iffy, but I think it did add a level of depth not previously explored in some of the characters. What was a let down to me was the lack of imagination and space battles. Instead we're left with a grounded and small scale fights with super powers. The animation was about on par with the last series, however the character designs were changed quite a bit. It's tough to recommend this series for a variety of reasons. I'd say you would most certainly have to be a Tenchi fan before seeing it, but you must be forgiving to give this a chance. It's not as bad as you may have heard, but the term disappointment keeps resurfacing for a reason. If you've never seen any Tenchi Muyo, this isn't a very good entry point (see the OVA).